Construction Management Software is SOC 1 and SOC 2 Type II compliant. 15.7 Version Projectmates Construction Management Software comes with two-factor authentication option and role-based schedule/action lists. Unit is used to secure data and requires password. Software is suitable for project management of construction areas. The newly updated version 15.7 of Projectmates will offer two-factor authentication, many mobile enhancements, and role-based schedule/action lists. Projectmates is innovating new ways to secure data and make project management for construction projects more transparent and straightforward. Two-factor authentication or “2FA” is an essential security feature for executive team members who are approving items. Adding another layer of security for enterprise level clients was the foremost concern in the recent wake of security breaches targeting financial institutions. 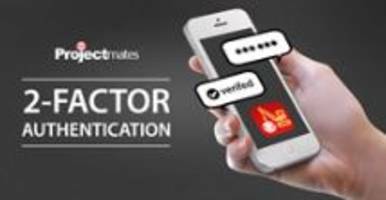 Projectmates is advancing construction software with two-factor authentication, also known as, “multi-factor authentication” and requires both a password and additional information only the authorized user has access to. By leveraging 2FA, the instances of identity theft or a rogue intruder decreases immensely. Projectmates is SOC 1 and SOC 2 Type II compliant, holding a long-standing tradition and corporate belief to ensure client data security and integrity. Projectmates routinely goes through complete eight-month strict evaluation processes to maintain SOC 2 Type II compliance and is continually looking at the future and what security measures should be employed at the client’s discretion. A Recent poll from Projectmates users showed a more significant emphasis on security. Projectmates has always held a close working relationship based on client feedback and routinely uses suggestions from surveys to drive future developments. Utilizing the diverse client base, Projectmates believes in user input to help drive and shape the capital construction software. Doing this keeps the software user-friendly and helps to adapt quickly to the rapidly evolving demands from modern construction and offers efficient, transparent communication amongst all levels of software. Today, Systemates has an expansive client base - from traditional construction companies to Real Estate Trusts, from Healthcare facilities to modern Educational Institutes and from Public Sector groups to leading Retail businesses. Projectmates' collaborative platform dramatically improves project execution, cuts costs and delays, increases accountability and reduces risks. With its cutting-edge technology, Projectmates creates one seamless platform for managing the complete lifecycle of construction from planning, bidding, and building to maintaining the facilities. Over 100,000 projects from organizations such as Retailers, Real Estate developers, Educational and Government agencies rely on Projectmates to manage billions of dollars in capital construction programs. Projectmates has been trusted by construction owners for over 20 years and is SOC 2 TYPE II certified.